New on the market! Great opportunity within 20 minute’s drive to Mojácar Playa. 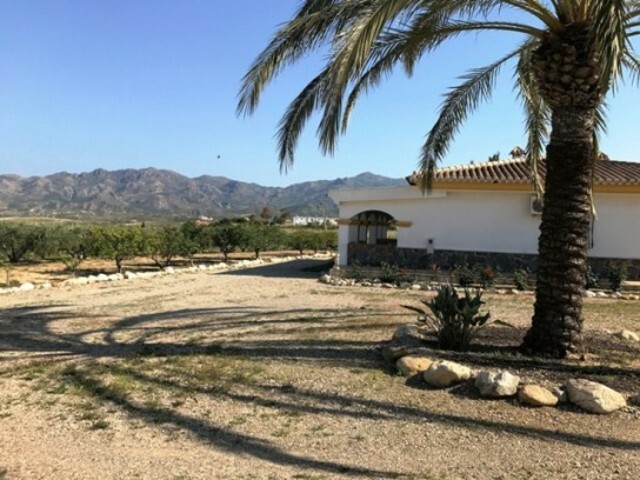 4 bed / 2 bath semi-detached Villa in the hamlet of Al Jariz, Antas within walking distance to all services in Al Jaríz and a short drive away to the high street in Antas Village. All in all the property has a plot of approx. 330.88 mts2 and the villa itself has a built area 169.05 mts2 in two levels. Internally the Villa is distributed between ground level: Porch, living room, dining room, bedroom, bathroom, kitchen with store; then the upper level with a large landing / living room, 3 double bedrooms and a family bathroom. The property also benefits from a front and back garden with a swimming pool, lawned garden and a lock up garage. The property overlooks an orange grove and also benefits from mountain views. If you are looking for a home or holiday property in a tranquil semi-rural area but within walking distance to services, a short drive to the coast and easy access to the motorway and airports then you must view this property.